A few days ago, we shared with you the tips that you can take in order to fix various problems with the camera app in Windows 8, 10. Now, I’ve realized that some of you who are new to Windows 10, Windows 8 or Windows 8.1 and you don’t even know where does it store the pictures you take. If your Windows 10, Windows 8 or Windows 8.1 laptop or maybe your tablet comes with a really good webcam, then most likely you rely on it more often than others. Your webcam, or integrated camera, as some might refer to it, does two basic jobs – it takes pictures or videos. It then saves them to a folder that you are probably wondering where exactly is located. 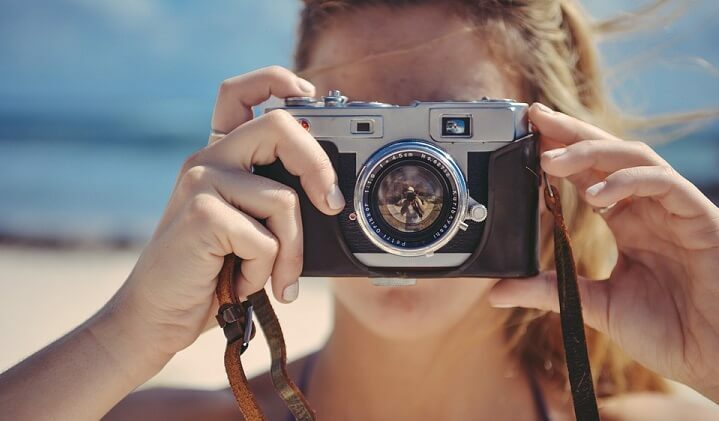 The camera app is quite basic, and there are only 3 other settings inside the app – the Camera Roll which lets you see the pictures and videos; timer where you can set a timer before it starts shooting and exposure where you can change exposure levels. 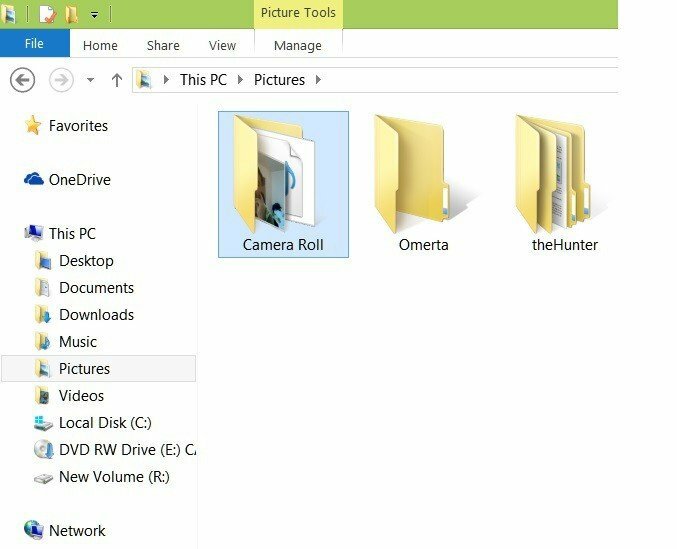 Where does Windows 10 camera save pictures? As I’ve said, the pictures and videos are saved to the Camera Roll folder, and now we’re going to quickly explain where you can find it. You just need to go File Explorer and from there, you need to go to the Pictures folder, just like in the screenshot from below. Now just double click on it and you will see the Camera roll folder. If you have enabled synchronization, then your camera roll will also appear on your OneDrive account, which means your photos and videos will automatically be uploaded. 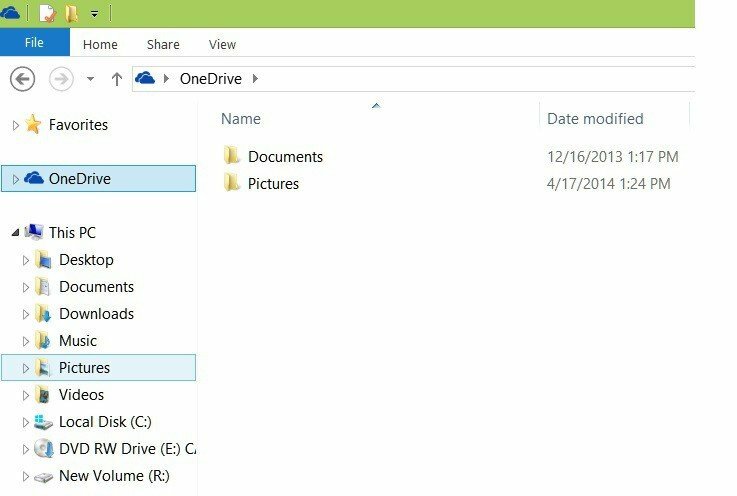 If you would like this feature to be turned off, here’s how you can do it by changing the OneDrive sync settings. Open Settings > go to System Storage. Click on the “Change where new content is saved” option. 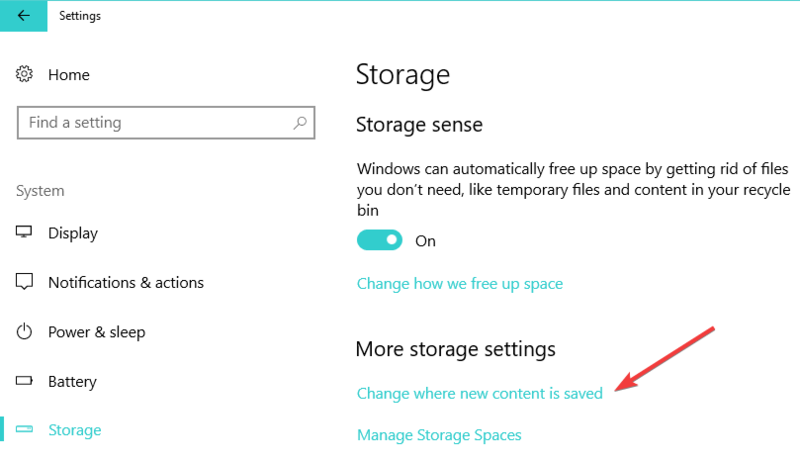 Use the drop-down menu to expand the ”New photos and videos will save to” section > select the drive where you want Windows 10 to save your new pictures and videos. Once you’ve confirmed your choice, your PC will copy the entire Camera Roll directory path in the preferred partition or external drive. For more information on how to change the save location of new pictures, check out this detailed guide.